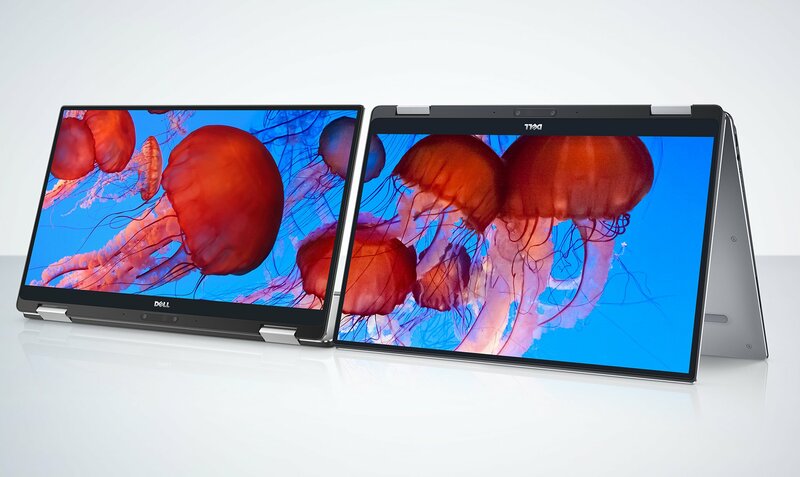 It's the Dell 2-in-1 we've been waiting for. We haven't been shy about our love for Dell's XPS 13 ultraportable -- since it debuted, it's been one of the best Windows laptops on the market. But if you also wanted an ultraportable that converts into tablet orientations, like Lenovo's Yoga series, you've had to look beyond the XPS lineup. That all changes today with the launch of the XPS 13 2-in-1, which was leaked yesterday by Dell's very own product site. But now we've got official details about the laptop. As you'd imagine, the convertible is basically a combination of the existing XPS 13 design with a foldable hinge, which allows you either to keep it in a tent orientation, or fold the screen all the way back. And before you ask -- yes, it packs in the XPS 13's "InfinityEdge" design, which leaves a mere 5.2mm bezel around the 13.3-inch screen. It comes in 1080p and QuadHD+ (3200 by 1800 pixels) variants, includes 7th generation Intel Core i5 or i7 processors and fits up to 16GB of RAM and a 1TB SSD. Dell also managed to make the XPS 13 2-in-1 completely fanless, so it should remain quiet even under heavy workloads (though it'd be interesting to see if performance falls as things heat up). At 2.7 pounds and 13.3mm tall, it's slightly slimmer than HP's new Spectre x360, which clocks in at 2.85 pounds and 13.8 mm thin. In my short time with it, the XPS 2-in-1 felt just as sturdy as the standard model, with a tough aluminum case and carbon fiber wristpad. The backlit keyboard feels a bit shallower — which makes sense since it also needs to double as a tablet — but still seems comfortable to use. And while its hinges aren't as fetching as what we've seen from Lenovo's hybrids, they feel like they'll hold up to plenty of folding and unfolding. You can snag the XPS 13 2-in-1 for $1,000 starting on January 5th. It's a bit more expensive than the standard $800 XPS 13, but it'll be worth it if you really want to veg and watch Netflix in bed.